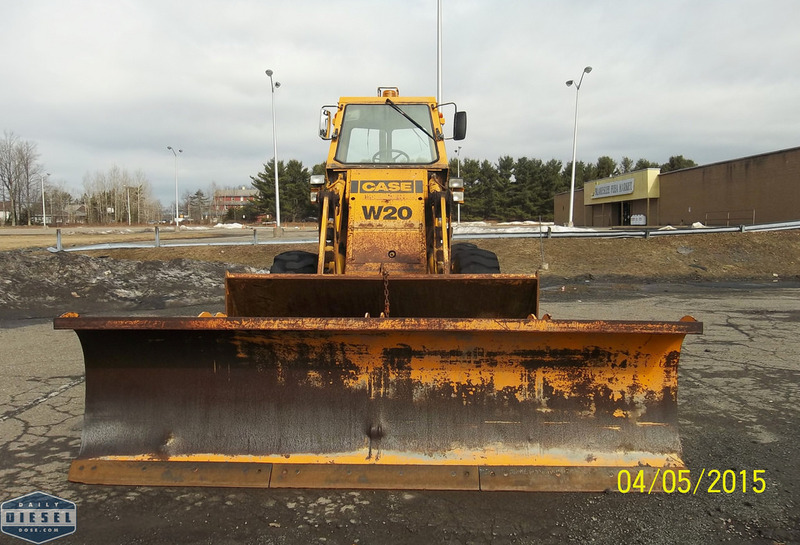 Dave C. was in the Poconos a few weeks ago when he went looking for loaders. 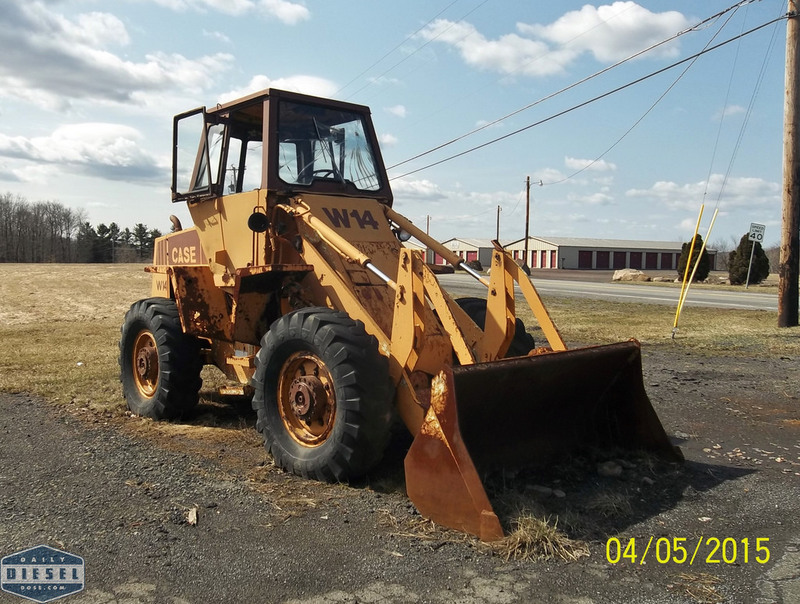 He found quite a few old Case machines and one well preserved Clark Michigan. The first find came in the form of this Case W20. I would agree with Dave that the color seems a little off, not the usual shades of brown typically found on this model. Interesting blade mount setup on this machine. Further down the road was this smaller Case W14 in a less than well preserved state. It’s hard to tell if the bucket is scooping the earth or returning to it. The cab has been left open to the elements by the lack of doors. Despite the sad shape it does hang out at a cool looking former Mobil gas station which is better than nothing. See gallery below. 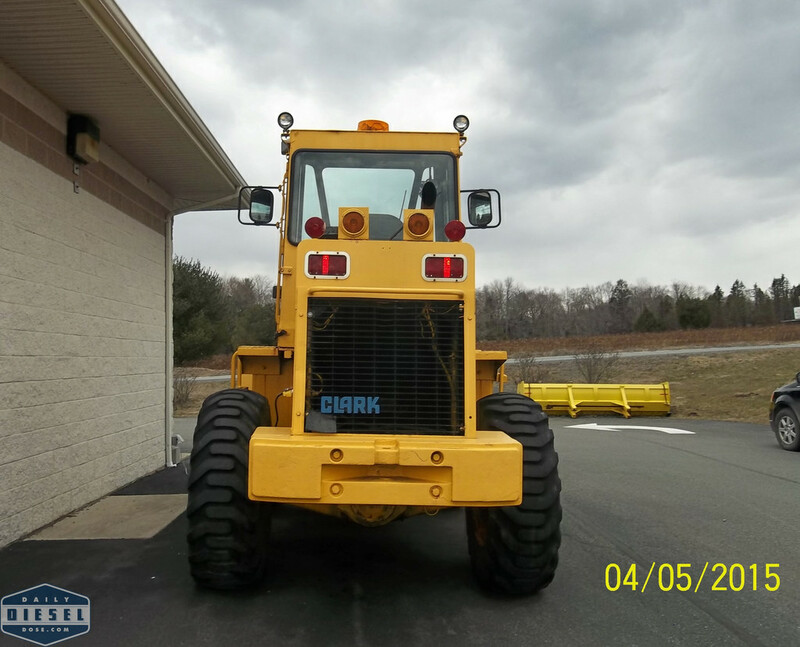 Finally we have this pristine Clark Michigan 35C on the grounds a car wash. No excuse not to wash this old warrior after each snow event. I would say this machine has been repainted at some point but the classic yellow and blue Michigan paint scheme was retained. Great finds Dave. Thanks for sharing. 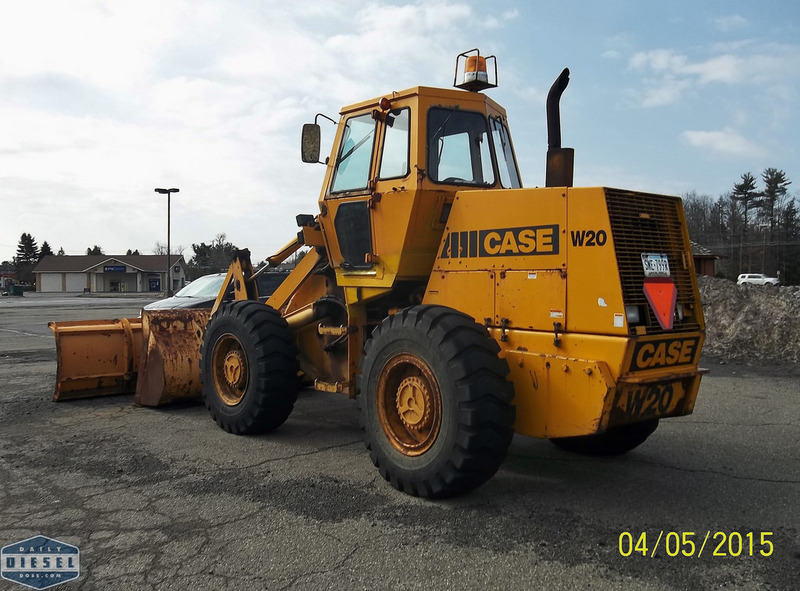 This entry was posted in Heavy Equipment and tagged case wheel loader, clark michigan wheel loader. Bookmark the permalink. 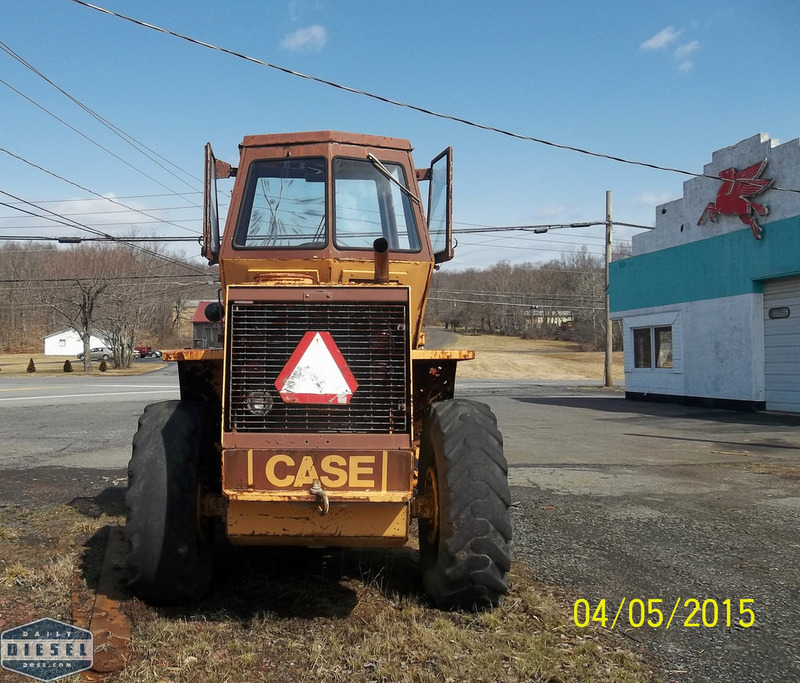 The Case industrial equipment color schemes changed over the years. You have to take into account what year machine you are looking at. If you’ve mainly seen machines from the mid-80’s through mid-90’s, you’ll be used to the Power Tan/Brown machines. Mid-70’s through mid-80’s they were Power Yellow with black graphics. Since 1995 or so, the colors have been Power Tan with charcoal gray. 1983-84 saw changes in color schemes at Case for both the Industrial and Agricultural equipment lines. Determining if a machine is pre or post 1983 for Industrial and 1984 for Ag will help you figure out if the color is “right”. Of course, for every rule, there are exceptions. NYS often spec’d their own shade of yellow while the NYS Thru-Way authority had an even different shade. Other highway/municipal authorities spec’d their equipment with Safety Orange paint. So, like so many other things, the answer to “is the color right?” is It Depends………..
Good info. Another thing to take into account is digital discrepancies between cameras, monitors and photo tweaking that may have taken place ultimately changing the color just enough to cause confusion. Life in the modern age, ain’t it grand?